Lord Krishna was the main role in both Bhagavatam and Mahabharatham. Sree Krishna was the eight avatar of Lord Vishnu Dasavatharam. Bhagavan Krishna was born in the Dvapara Yuga. God Sri Krishna is one of the most loved and worshipped Hindu god among all gods. Sree Krishna was the king of Dwaraka. Lord Sri Krishna was the eighth son of Vasudeva and Devaki. Krishna avatar stands as a symbol for love, naughtiness, and mischievousness. Shri Krishna born to destroy evil people and save good people. Lord Krishna's main aim was to kill his uncle Kamsa who was the cruel demon who killed so many kings and prisoned them in prisons. Kamsa came to know that he has danger from Krishna so he sent so many devils and demons to kill Bhagavan Krishna but Lord Krishna killed those all devils and demons sent by his uncle. Finally, Lord Sri Krishna killed Kamsa and made his uncle Ugrasena as the king of Mathura. Lord Krishna stood alongside the Pandavas in Mahabharata war and rescued them throughout their lives. Shri Krishna taught Bhagavad Gita to Arjuna in the battle of Kurukshetra when Arjuna was in depression and not able to fight. The main summary of this Bhagavad Gita is you can experience God through divine vision and always need to be strong and brave in critical situations in life. Krishna reveals his true divine form to encourage Arjuna to fight like a brave warrior and not to be depressed. Radha Krishna was known as the symbol for true love and devotion. Lord Krishna god was the entire reason for Pandavas victory in Kurukshetra. 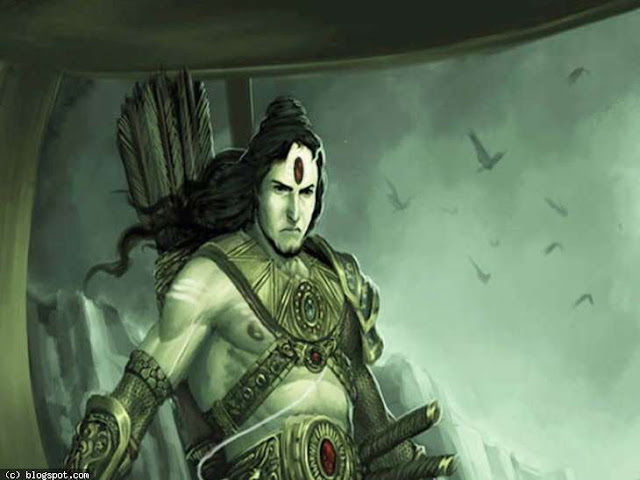 He did so many favors to Pandavas and made them survive and finally made them rule Hastinapura kingdom. Everybody knows something about Krishna and so many Lord Krishna stories but still, there are so many lesser-known Krishna facts. 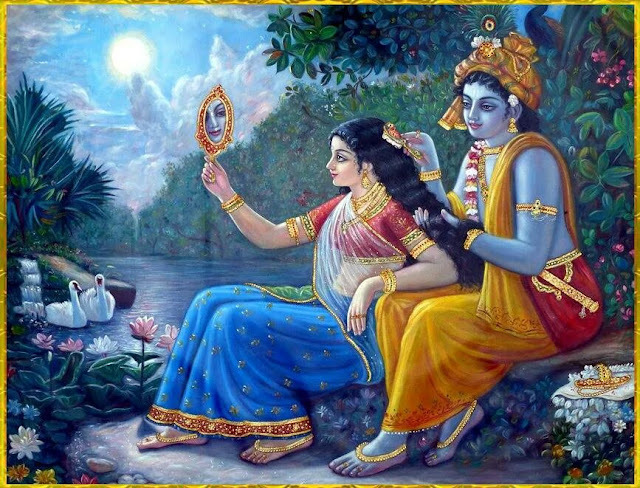 So let's discuss some unknown facts about Lord Krishna. 1. Sandipani Muni was the guru of Bhagavan Sri Krishna. Sandipani was the saint of Ujjain. Once Shri Krishna brought back the life of the dead son of Sandipani and paid his Guru Dakshina to his guru. 2. After the completion of Kurukshetra war, Gandhari felt so much sad due to the death of her sons and thought that Krishna was the main reason for the entire Kaurava dynasty. So Gandhari cursed Lord Krishna by saying that entire Yadu dynasty will be destroyed in the same way how Kaurava dynasty had been destroyed. Lord Krishna witnessed that entire Yadu dynasty perish after 36 years in front of his eyes. 3. Bhagavan Sri Krishna had more than 16,100 wives. Out of all these wives, Krishna had mainly 8 wives who were named as princely wives or Ashtabharya. Names of those 8 princely wives are Rukmini, Satyabhama, Jambavati, Nagnajiti, Kalindi, Mitravinda, Bhadra and Lakshmana. 4. Ekalavya was considered as the greatest student in Hindu mythology because he offered his thumb finger as Guru Dakshina to Drona. Later Ekalavya was killed by Lord Krishna in Rukmini Swayamvar because of Ekalavya was the supporter of Jarasandha. But Jarasandha was the enemy of Krishna so Ekalavya also became the enemy of Lord Krishna and fought with Krishna in Rukmini Swayamvar. But the real fact was that both Krishna and Ealavya were cousins because both of their fathers were brothers. 5. The greatest enemies of Sree Krishna were Jarasandha and Shishupal. Out of these Jarasandha was killed by Bhima with the help of Lord Krishna and Krishna himself killed Shishupala. Actually, Shishupal was the cousin of Krishna. Krishna made a promise to the mother of Shishupala, who was the maternal aunty of Lord Krishna in a way that he would not kill Shishupal until he makes 100 mistakes. Once Pandavas conducted Rajasuya Yagna and decided to call Lord Krishna as chief guest. Sree Krishna attended to Yagna, at that time Shishupala was also there. Shishupal started calling Lord Krishna as a coward and scolded him. Due to this mistake, Shishupapa had exceeded his 100 mistakes, so Krishna killed the Shishupal with the help of his weapon Sudarshana Chakra. 6. Pradyumna was the son of Lord Krishna and Rukmini. Pradyumna was the incarnation of Kamadev who was turned into ashes by Lord Shiva in a previous life. Pradyumna had died while rescuing Satyaki in the war raised between Yadu dynasty because of Gandhari's curse to Lord Krishna. 7. In throughout his life, Shri Krishna used Sudarshana Chakra as his main weapon. He used Sudarshana Chakra mainly in two instances in Mahabharata. Once he used Sudarshana Chakra to kill Shishupal and another time he used it when Arjuna was killing Jayadratha. 8. Sage Durvasa was a sage known for his high anger. Durvasa cursed so many devas. Krishna was also among those who were cursed by Durvasa. Once Durvasa asked Krishna to apply Payasa on his entire body, Krishna obeyed and did so but he did not apply Payasa on his foot, by seeing this Durvasa got angry. So Durvasa cursed Lord Krishna by saying that he would get his death by his foot. Because of this cursed death of Lord Krishna was happened later when he was struck by an arrow to his feet by a hunter. By mistake, a hunter shot an arrow at Lord Krishna foot because he assumed it like an animal. This is all about the 8 Unknown Facts About Lord Krishna and Lord Krishna's divine life history. Thanks a lot for your valuable feedback sir.